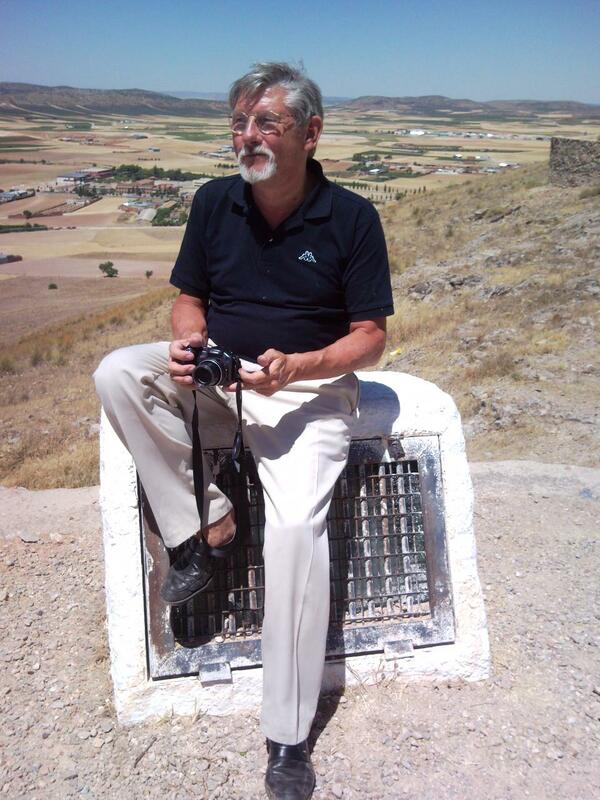 Robert A. Kingsley is a Dutch- Canadian author who currently works and lives in Europe. He works out of the magical city of Amsterdam as an independent ICT consultant. Robert has a son and a daughter, both talented professionals in their own right, and is grandfather to two wonderful grandchildren. Robert started this blog as an outlet for the information his research yields on the Pacific War and especially on the seldom published and little known Netherlands East Indies Campaign of 1941 and 1942. In a continuing series of posts, he highlights those people who have made a significant contribution to the Allied war effort in those parts, often at the cost of their lives, and who are in his eyes the “Forgotten Heroes” of that period. Robert has published a number of books. In September 2014, after several years of intensive research, he has published “The Odyssey”, the first volume of “The Java Gold”. This multi-part historical fiction story will take the reader all over the world and through half a century of recent history. In this series Robert has combined his life-long interest in aviation and military history (especially World War 2) with local, on-site knowledge he has gathered during his travels all over the world as an international ICT consultant. The first two volumes of “The Java Gold” are largely set in the former Dutch East Indies. Not many books have been written about the turbulent post war years in that area and especially Indonesia. The Japanese invasion, the post-war struggle for independence and the general unrest in South East Asia serve as a fascinating background to the story. The idea for the book was born during a “steak and beer” dinner in a California micro-brewery. Robert had just come across a number of highly intriguing facts and events that had happened in Indonesia during and after the 2nd world war. “I could write a thriller around them”, he said and one of his closest friends dared him to do so. A sincere pleasure to find a person of like interests. Had a quick look at the Pacific Paratrooper blog and agree with you. The interests are identical; only I’ m too young to have actively participated in the Pacific war. But let’s try to hand the memories down to younger people. To make sure the knowledge won’t be lost. I just want to clarify here – how much of your posts are factual and how much is from the novel? As you say, our blogs are on a similar train of thought and I think your site deserves far more viewers. What I post in the blog is factual information I came across while doing my research. I started this blog to support my novel and every now and then I insert a (small) fragment, hoping to attract readers. These fragments are clearly marked as “fiction”. I am still trying to find a way to attract more readers, both of the blog as well as the novel. So far without much success. Thank you for such a swift reply. Spending time on the “Reader” by typing in the topics you’re interested in is a great way to find people of like-mind. And I’ll see what I can do, just be patient – it doesn’t magically happen, it’s a slow, steady process. This blog about Java Gold caught my interest. My grandfather “Marinus Veenendaal” was a KLM flight engineer who flew with KNILM DC-3’s during the war in NEI. On the night of 26-02-1942 and 27-02-1942 he (officially) flew a mission with PK-AFZ from Broome to Bandung. That night PK-AFZ got lost and made an emergency landing near Muara Kuang south of Palembang. A few day’s later the 4 man crew got robbed and murdered by natives near the village of Lubuk Keliat. The wireless operator P. Pronk managed to escape his attackers but was beheaded by the Japanese 3 days later. No trace was ever found of both airplane and crew (except for Pronk), even though they managed to land the plane in one piece. For some years I have been doing my own research on what happened to PK-AFZ and i got to the conclusion that the official story does not make any sense. 1st. The flight range for this pre-war civilian DC-3 was not sufficient for making the distance from Broome to Bandung so how did they manage to get almost all the way to Palembang.? 2nd. I recently discovered some letters from a Chinese Docter “Dr. Ghan Tjoe Ham”. He was treating the wounds of P. Pronk prior to his beheading. In his letters he states that Pronk told him they were robbed because they had a “large amount of gold pieces which belonged to the cargo of the airplane”. This raised the question to me why PK-AFZ was carrying gold from Australia into Java at a time where all gold was going the opposite way. It all just doesn’t make sense. Since i just read, your novel is about a plane carrying pure Gold out of Java and was lost. I was wandering if this is also based on a fact ? One possible explanation why gold coins were carried out to the NEI could have been to finance a ‘stay behind’ resistance organization. I recently have discovered that in February 1942 the leader of the pre-war PCI (Indonesian Communist Party) was paid the equivalent of 50.000 guilders in gold coins by Dutch authorities to set up and maintain an information gathering network. The reason for pieces of gold was because paper money – issued by the Dutch – would soon become useless as it would be replaced by Japanese controlled currency. Of course, no network was set up and the PCI leader used the funds for his own political purposes. The range of the pre-war DC3 – These planes were stripped bare and a minimal cargo was taken on really long distance flights. I would not be surprised if that has been the case with PK-AFZ. Moreover, by the time of its crash the Sumatra south – west coast was still in Dutch hands. Only Palembang had been taken by the Japanese. It would take another month before the Japanese had occupied all of Sumatra. That raises the question whether PK-AFV was heading for Padang (for instance) The crash location seems to be consistent with that. Finally, the book is based on a number of random facts, knit into an adventure story. Long ago I found out about the ‘evacuation’ of gold, money and securities to Australia by Lockheed Lodestars. I also knew about an ex KNILM DC5 that had somehow ended up at Haifa and some other disconnected facts. So I decided to use those to construct a story. It is rather disturbing that I seem to have hit close to the mark in some cases. I checked my information on PK-AFZ’s flight. Three DC-3′ (PK-ALO, PK-ALZ and PK-AFZ) left Broome late in the afternoon of 26 February with destination Andir. Interesting fact: PK-AFZ had flown up to Broome from Sidney. PK-ALO was the only plane to reach Andir in the morning of 27 February. PK-ALZ and PK-AFZ both missed their Tjilatjap landfall. PK-ALZ discovered in time they were over the extreme western tip of Java and turned back north-east. The crew reached Tjililitan near Batavia flying literally on the gasoline fumes in the DC-3’s tanks. PK-AFZ went completely missing. One reason for this mishap might be the fact that (unlike the military Lodestars) KNILM DC-3’s had no radio compasses. The approach to Andir had to be made through one of the passes in the mountains surrounding the Bandung plateau. Without visual orientation (it apparently was very bad weather that night) this approach might have been considered too dangerous. Regarding PK-AFZ final destination i got to the same conclusion. I think PK-AFZ’s actual flight path took them from Broome to Malang and then headed for Padang. Mr. van Messel (head flight operations in those days) told my father many years later that PK-AFZ flight range was 1600KM but that he was not allowed to tell him any more details (he was very moved). This fact indicates to me that the most likely flight path of PK-AFZ was Broome – Malang, Malang – Padang. This flight path was well within their range (as stated by van Messel), and took them directly over the emergency landing area at Muara Kuang (as stated by Dr. Ghan Tjoe Ham). Your information on Dutch government payments to PCI makes sense in this case. It also answers the question why there has always been such a smokescreen around what happened and why Mr. van Messel was not allowed to give more detail. Thank you very much for providing support to my own conclusions and adding another piece to my PK-AFZ puzzle. It alls sounds very plausible to me. During my researches I discovered several things that seem to support this theory. First: the fact that the Dutch High Command had designated the Minangkabau area (Padang) as a secondary line of defense against a Japanese push up the Sumatra south coast. Second: there were contacts between the Dutch forces and the British SOE – in particular SOE Force 136 operating in Malaya. Finally, Padang and in particular Bukittingi were PCI centers and I noticed there was frequent contact between Dutch officials and the anti-Japanese PCI. When you´re talking about mr van Messel – was he the guy also known as ´Fiets´ van Messel? One of those who flew under the Sidney harbor bridge? Yes, i am talking about the guy known as ‘Fiets’ van Messel who amongst others flew under the Sidney harbor bridge. I came across your blog on my reader. I’m the Digital Marketing Executive at Pen and Sword Books – the UK’s leading military history publishers and I wondered if you’d be interested in reading and reviewing our books for your blog? Please take a look at our website: http://www.pen-and-sword.co.uk. I just saw your blog here….it’s fantastic ! Aviation history is always my interest….in fact i made up my personal blog about aviation history in Indonesia : aviahistoria.com. Yes, it’s in Indonesia language but you can select language to English. Not very good in translation but well you’ll get the idea…. Is it possible we co-operate, share informations, etc to improve our each other blog ? My e-mail is : sudiro.licensingmedia@gmail.com. Thank you for your nice compliments, I will contact you. You might like to know that LOCKHEED HUDSON MK.IIIA A16/199 which was used in east timor by the RAAF and operation sparrow force is at the RAF Museum in Hendon, London. Complete with punching Kangaroo. I would like to meet you Rob.First of all have you ever heard of my publications on the Dornier Wal flying boat ? Please, visit my website http://www.dornier-wal.com and follow me on Fb Dornier Wal. My books are being read all over the world and I am a friend of Sudiro. As I am often visiting my brother in Amsterdam, we can easily meet in the Victoria Hotel. Looking forward to meeting you, Best regards from Florence and Kleve, M.Michiel van der Mey, l’Olandese dei idrovolanti. When is the next time are you’re in Amsterdam? I am selling a Dutch silver spoon on ebay, which I think commemorates this exhibition. I wonder if it could be of any interest to you? Or if you could think of a reliant Museum that may be interested. It has a Pelican on the top and a scene on the bowl, of a seaplane, and Palm trees on one side and Windmills on the other. Great to read the story all about it! It sounds like this spoon is something commemorative of the ‘Pelican’ flight, theX-Mas mail rush to the Dutch East Indies I wrote about. Two of the subjects covered in your blog are of great interest to me, having lived in Indonesia for 10 years and, in retirement, being a frequent visitor there. The two subjects are: the battle fought by Blackforce at Leuwiliang, West Java, in March 1942, and the flights by foreign pilots in support of the Indonesian independence movement in the period 1945-1949. In particular I have investigated the crash of Dakota VT-CLA piloted by the Australian RAF air ace shot down near Jogjakarta by Dutch fighters on July 29, 1947. I have visited both sites on multiple occasions. Have had a plaque placed at the Leuwiliang site , and have had the Constantine grave at Jogjakarta rehabilitated. I can provide photos from both locations.